November | 2015 | Building Solutions. Evaluating and contracting design and construction services has never been an easy task for the church. In today’s economic climate, the challenge has become exponentially harder as struggling builders are becoming increasingly “creative” in how they represent themselves. Discussions with hundreds of churches that have built has boiled down to a very simple “Top Three” list of advice and wisdom that will help your church make the most important decision, with the most financial risk, that it may ever make. Without further ado, let’s take in the wisdom of those who have already survived the adventure of designing and building a new facility. 1. Check the References of Your Team – Really, Check the References. 2. Fully Understand the Fees for the Work. 3. Fully Understand How the Project Will Be Delivered. 1. Who were the people that you worked with on your project? 2. What were the problems that took place on your project? 3. How were the problems resolved? 4. Who paid for the problems? 5. How is your relationship with the people that worked on your project? 6. Would you hire them for your next phase? The primary cost items for a construction project are design and engineering, general condition costs, building construction costs, reimbursable costs, fixture and furnishing costs, and builder overhead and profit. Faced with the daunting task of choosing the right builder for their project, building committees have resorted to shopping building firms based on their overhead and profit percentage. They believe that overhead and profit are the only variables between builders with the remaining project costs (Design & Engineering, Construction Costs and Fixtures & Furnishings) being somewhat fixed. That assumption is far from accurate. Choosing a builder based solely on their “low” overhead and profit percentage has sometimes become a rude awakening for churches around the country when they finally stumble upon the “hidden costs” of the project. Many times, attention is gained with a low overhead & profit figure from a builder, only to find later that there are other “costs” the builder has moved into general conditions that have subsequently created a higher actual project cost to the church. When evaluating your design and build team, make sure that the general conditions, costs, and the overhead & profit are identified and carefully compared. Church building committees spend countless hours wrestling with the approach they will take to design and build their new facilities, and with good reason. Construction still remains the number two most litigated industries in America today – second only to medical. Almost $.20 of every construction dollar goes towards claims and litigation. So how does a church protect themselves from becoming a statistic, while building positive relationships with their designers and builders? Often the approach taken to design and build is a reflection of the building committee, their comfort with risk, and their personal past experiences with similar projects. 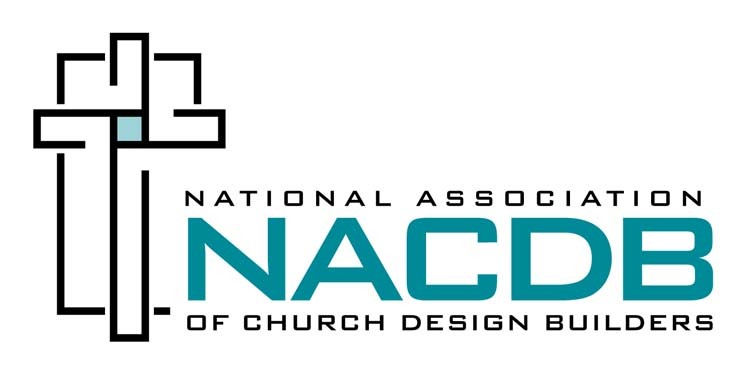 Today’s church building committees face a harder task of selecting an approach than their predecessors, due primarily to the “hybridization” of the traditional three delivery systems: Design-Bid-Build, Construction Management and Design-Build. There are distinct Pro’s and Con’s to each approach. Make sure that you understand the pro’s and con’s of the various delivery systems and have identified who (you, the architect or the builder) will be responsible for the different situations that will occur on your building project. A good Design and Build Team, with a heart to serve the Lord, can make what could be a time of ministry distraction into a time of ministry focus. Selecting a team to serve your ministry should be based on the relationship with the team members that you would be interacting with regularly through the course of the process, the past experience of each team member, and the ability of each team member to synergize with the others to develop cost effective solutions for your project. Every project, first and foremost, is all about God. The next thing a project is all about is people. Great people can steer your church through the landmines of the construction process and protect you and your congregation from the risks that are commonplace in the construction industry. Kurt Williams is a Design/Build veteran at T&W Church Solutions (www.tw-church.com) with over 25 years in the industry, 20 of those years guiding over 100 churches through the various stages of Discovering, Designing and Building their new facilities. T&W Corporation is a Design/Build firm dedicated to serving the churches of Central Indiana and is an active contributing member of the NACDB (www.nacdb.com). Kurt can be reached at kwilliams@twcorp.net.